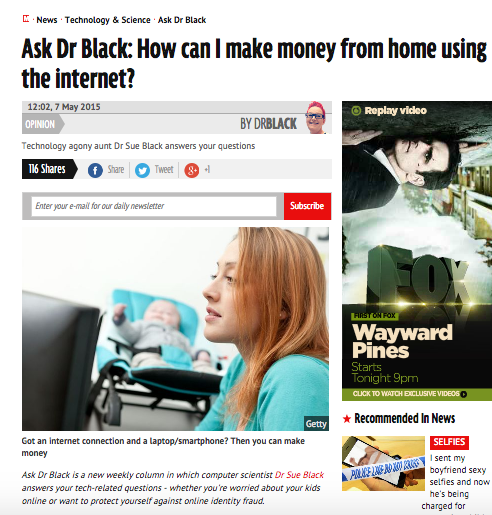 I was pleased to see that an article in The Mirror entitled ‘Ask Dr Black: How can I make money from home using the internet‘ covered our online tutoring website Tutorhub. It included seven ideas on how to make cash online, ranging from freelancing to affiliate marketing. In at number 5 came Teaching, via Tutorhub. Have something to teach? Fancy a go at earning cash online then why not give Tutorhub a try? Search engine optimization (SEO) is the process of improving the visibility of a website in search engines via “natural” or unpaid (“organic”) search results. It’s one of the areas that you need to get right when developing a website, and an area to tweak when you try and improve the rankings of your website, over time. 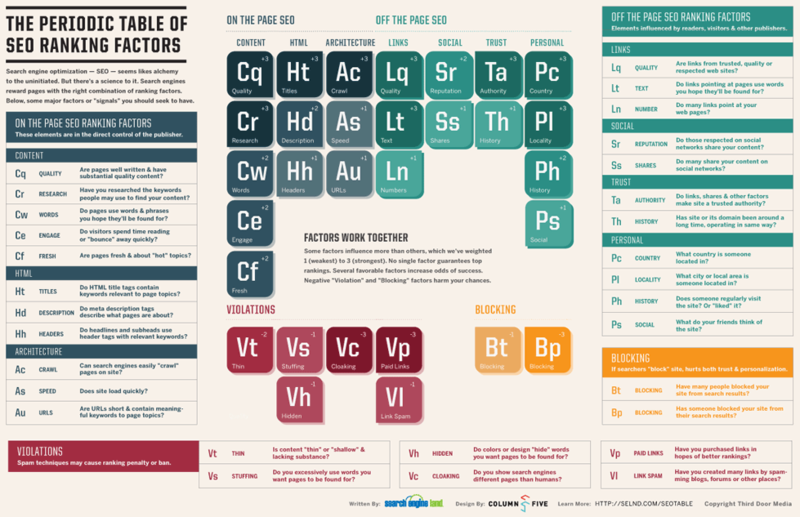 I came across this infographic, which set out all the factors as a periodic table. It shows the things you have to get right – all common sense really, and unacceptable behaviour which you will get punished for. Wish I had seen this back in 2007, would have made things alot clearer. Online tutoring: what next for Tutorvista? Pearson’s acquisition of Tutorvista made the news last week. I the light of this, what next for this business and for online tutoring in general. Online tutoring as received a fair amount of funding in recent years. This is a relatively new market-space, with Tutorvista only 5 years old. Until recently there were six VC funded online tutoring businesses: Tutorvista (who raised $80.8m), Globalscholar ($42m), Grockit ($17.7m), Cramster ($9m), Tutor.com ($13.5m) and Edufire ($1.7m). Only Grockit and Tutor.com remains unsold. Integrating small technology based businesses in large corporates puts stresses on the acquired companies. These businesses require further investment and they will be judged shoulder to shoulder with existing and known business units. So whilst there is great scope for expansion, we’ll have to wait and see what actually happens. In the meantime, Venture Capitalists will be interested in this segment, particularly in traditional markets like the UK. Have I told you about Tutorhub? It was with enormous sadness that I learned that my friend and colleague passed away yesterday, after a brief struggle with a brain tumour. 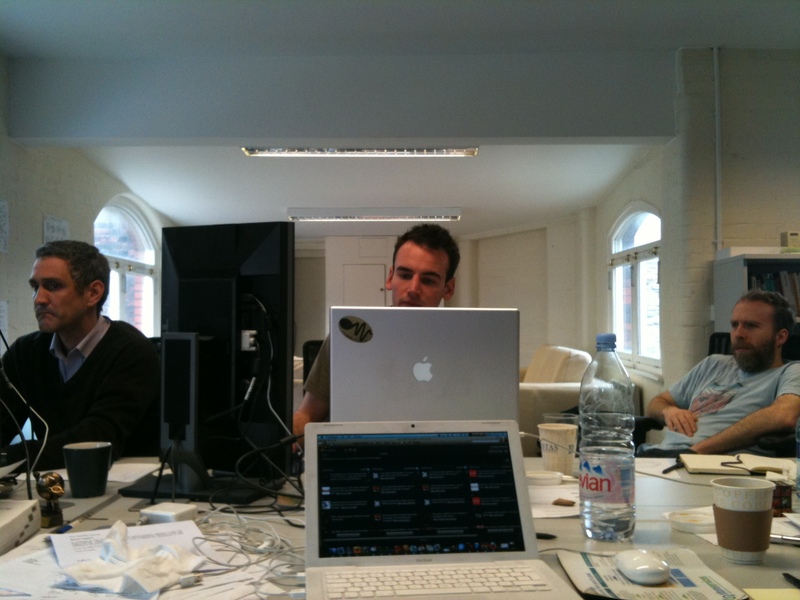 For those of you who didn’t know him, he was super-intellligent, honest and generous, liberal-minded creative web geek. Even though we were complete opposites in many ways – him creative, me a bull in a china shop etc… we managed to hit it off. To be honest, I can’t recall anyone who didn’t take to him straight away. In some ways our working class backgrounds meant that we had similar roots. Despite this he was excelling at School and off to Cambridge to read maths, whereas it was Bristol Polytechnic for me. My path was much more conventional after college, whereas Pete was living in a squat. When we first met, we were looking for a Chief Technology Officer for our web start-up. Kevin had met Pete before and thought that Pete wasn’t that interested in the role – it was Pete being Pete though. Kevin called him again, and Pete said he was up for it. When I met Pete, I wondered who would turn up to an interview dressed like someone out of the band ‘Haircut 100’, but what struck me was his obvious mental capacity, desire to create something new and rock solid values. I knew then that he would be right for us. We worked together for approaching three years, during which time I got to know him well. He enjoyed nothing more than a great coffee and a chat at Barristas, where we put the world to rights. Pete had a great sense of humour and never took himself too seriously. I remember that one day he brought his dog Edith into work wearing this old well-worn coat, something that made me liken him to a Big Issue Seller – he was great at taking jokes at his expense. He and I often played table football on the same team as the two worst players in the office we were often forced together. Every now and again we even won a game. Kevin is right when he says that Pete is the only person in the world with a table football move named after him – the ‘Ferney special’, which involves keeping you player just in front of the opposition goalkeeper and waiting for them to pass you the ball before snatching a sneaky goal. Pete would grin widely every time he snatched a Ferney special. As someone who regards family as the most important part of life, Pete’s own attitude to family was one I could empathise with. He was devoted to his partner Debs, and often spoke about his beautiful daughters Bella and Maisie. As Pete’s illness took hold of him, I got to understand what made them all special. 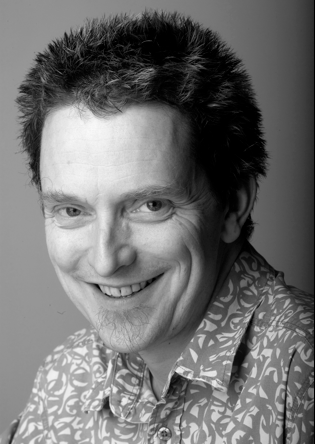 Pete’s funeral is on 18th October at the Memorial Woodlands at Alveston. Rest in peace Pete. The world is a lesser place without you. Just a quick post to say that our new online tutoring website tutorhub.com has been launched into public beta. Getting the timing right is always a difficult decision. We have launched our minimum viable product, and before we take it onto the next level we need to ensure that we are on the right track. Developing any new business idea relies on a series of assumptions, and the first priority for us is to talk again to parents, kids and tutors and find out whether it really meets their needs – also known as product:market fit. We also need to prove how best to market it and that it’s economically viable. Only when we have done this can we go for growth – simply put we have to ‘nail it before we scale it‘. If you fancy helping us with this, please get in touch. What’s life like at a start-up? I have been asked to speak at an event called ‘pitching for management, not money’ in London on 22nd June. The event has been organised by Angel News with the aim of putting experienced professionals directly in touch with exciting growing businesses. I suppose that in many ways I am well qualified to tell people about the transition from the corporate world to that of a new business start-up. What it’s like and how it’s different. 1. Culture. Status and career development are important at a large corporate, in a relatively low risk environment. This counts for nothing at a start-up, and why should it. An effective culture at a start-up is critical, and it’s not about introducing processes like performance management as teams are small, it’s about getting clarity of purpose and energy. 2. Focus. The biggest difference, I think. Corporates are about executing the business model, engineering effective processes, management and administration. The focus is very different at a start-up, it’s about identifying unfulfilled market and customer needs, creative / innovative solutions, hypotheses testing, business model testing, customer development and agile development. Instead of traditional accounting, it’s business metrics and instead of a regular paycheck it’s about effective cashflow management and fund raising. Once you have nailed the business idea you can scale the business, it’s then that you move toward the effective management of processes that large corporates focus on. But it’s not for everyone, and life is very different for me these days. Probably the biggest factors are uncertainty / ambiguity and your attitude to risk. If this appeals, why not come along? Bristol Families – We need you! Exciting news! We are three weeks away from launching Tutorhub, a new internet-based educational service, and we’re now looking for families with children in years 7-12 to take part in a trial of the service. For the kids, Tutorhub combines the one-one attention of a home tutor with the speed and convenience of just looking it up on the internet. To start with, we’re focusing on maths tutoring, but we’ll be adding further subjects as we go. What’s in it for you? Well, the bottom line is that for the pilot period of two months, your children will have immediate access to a whole bunch of maths tutors, for free. In a nutshell, they post their tricky question on Tutorhub, it’s picked up by one of our tutors who can best answer it and they can start a ‘chat’ session’ to get the problem solved. Once solved, the session ends and you can rate the tutor on how well they answered the question. For your peace of mind, all of the tutors are CRB checked and all the sessions are recorded for review later. The kids will find the technology very familiar and it means you don’t have to answer those tricky questions they got for homework that night. What do we want out of it? We want you to try it out and let us know what the kids think and hat you think. At the end, we’ll have three questions for you: what did you like about it, what did you dislike about it and what would you do differently. 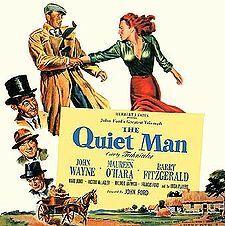 I was watching the Quiet Man – if you are old enough you will remember this John Wayne classic. Its the story of a man who has to fight his brother-in-law Red Danaher. He’s a man who realises only just in time what he has to do to save his marriage – in this case fight Red. Many businesses are choosing to ignore social media in the same way that John Wayne ignored Red. If you ignore it, it might go away – or it’s a battle for another day. Many businesses just have not woken up to how social media can help them do the most difficult thing today, in a world where services and products are seen as mere commodities, engage with their customers. Product Research. Your customers are your best R&D tool. Collecting their feedback and engaging in a discussion with them can give you vital feedback on what’s good and bad about your offer. Simple searching on Twitter allows businesses to see what people are saying about them, and provides the potential for two way dialogue. Community Building. Who doesn’t want a loyal group of customers? Grouping them together can allow them to share their interests. Facebook has over 300m users, and many businesses now have Fan Pages. Customer Service. Without spending big bucks on marketing, businesses can engage with their customers on a new level, creating a contact channel for customers. Companies such as Zappos already have all of their employees using Twitter. Marketing and Promotion. There are new routes to find customers. Channels such as Facebook and Twitter as well as well written company blogs can attract new customers. Facebook is also a marketing channel – one that I have used – which enables you to target small customer group niches. Historically businesses broadcast their messages – technology now allows two-way customer dialogue. It surprises me that most businesses ignore it. At Jiva we are working on a whole series of real-time people web solutions. Not very user friendly terminology is it? An article at Aardvark goes along way to explain. The key take-away is that what really matters is the increased accessibility of people online, not just the information online. We totally agree with this, and are working hard on delivering collaboration websites, and ways for people on a one to one basis – to communicate instantly. To understand this, consider the difference between Web Search and Social Search. With Web Search, it’s possible to find countless long-hidden facts and figures which [a small minority of] internet users have at some point published on the web: just type in a few keywords, and a Web Search engine will return the top results from among the billions of pages that constitute the web. That’s great for queries about objective information that isn’t particularly timely, and which doesn’t need to be personally or contextually relevant. With Social Search, it’s possible to find a person who has the information you are looking for: just type in your question in natural language, and a Social Search engine will connect you to someone with the right knowledge and experience to answer your question. You get an answer in a few minutes, and can have a quick back-and-forth conversation with the answerer if there’s something you’d like to follow up on. That’s just what is needed for queries that have a subjective element, or when you want information first-hand from someone you can trust. The key point here is that often what you’re after isn’t static content — rather, it’s an interaction with someone who can help. With the Social Search paradigm, online content is used as just an index of what its author knows about; the engine uses this index to find the person you should connect with for your question. This becomes pretty compelling if we remember that the amount of information in peoples’ heads positively dwarfs the amount of authored information online: just think what a small fraction of everything you know you have published on the web. Yet everyone (not just those who blog a lot) have knowledge and experience that is valuable to share. By using the web as an index of people, Social Search lets you tap into absolutely anything that anyone knows… in the theoretical limit. How does this relate to the Real-Time Web? What makes Social Search possible is the vast amount of profile and social graph data that people have online (since this is what the engine uses to figure out who would be a good match to answer a question). With the real-time web, this information can stay up-to-date automatically, so that you can connect with other people to talk about your current experiences. In the real-time web era, people are increasingly available online: they are onIM, they are on Facebook, they are Twittering, they are using their iPhones. This means that a Social Search service like Aardvark can easily see who might be available to answer a question in the moment and reach out to them… on any of these platforms. If you want to tap into your extended social network — tens of thousands of friends-of-friends, school and work connections, and such — we’ve found that it’s useful to have a service play the role of social intermediary here. The flood of online and real-time data has quickly become overwhelming to most people. If you broadcast a question out to your entire network, that’s a lot of spam you’re creating as you add to the din; and over time, as we waste peoples’ attention, they are less attentive to these noisy broadcast channels. The alternative is to submit your question to a Social Search engine: it will choose the few people who are most likely to answer, and contact them directly; in essence, it provides a kind of filter for your network. It’s clear in the feedback we’ve gotten from Aardvark users that people are grateful to have this more personalized filtered channel — and as a consequence, they are much more responsive and thoughtful when they do choose to answer a question. Put all of this together, and the result is a completely different kind of experience than anything available before. Real-time information hookups! With people you trust! Satisfying for the asker, gratifying for the answerer! And this isn’t some futuristic dream — it’s happening right now. In the time it took you to read this piece, a huge variety of questions were answered on Aardvark, based on connections made from profile data. People really like helping other people! In sum, the Real-Time People Web is the way that the Real-Time Web becomes personal: Because often you don’t just want to hear what people are saying — you want to hear what someone is saying to you.